“Daddy - I don’t want to leave Europe, I love this house and I want to stay living here,” my six year old son, David, piped up whilst his Dad was watching the coverage of the vote on the Withdrawal Agreement. We reassured him that leaving the EU didn’t actually mean physically going anywhere. However, had some of my children’s classmates expressed this anxiety, those words would have had a whole different weight to them. Some of their parents, as citizens of other countries within the EU, are struggling with what a ‘no deal’ Brexit would mean for their families. Brexit is dividing people at every level: families, communities, and even nations within the United Kingdom. We all know the rhetoric that keeps reinforcing those divides: those of us who voted leave are labelled insular, stupid and racist whilst those of us who voted remain are remoaners, liberal lefties and crybabies. None of these blanket characterisations accurately describe the majority of people in each group, and it is harder to find common ground as long as they are bandied about. As political leaders struggle to find a solution, many are questioning the nature and functioning of our democracy. Though others have written extensively about this democratic crisis, what has been less explored is the effect this crisis is having on young people. When I think of my son’s confusion about the meaning of Brexit, perhaps my greatest worry (even more than the actual outcome of Brexit) is what kind of society he will grow up in, what value democracy and citizenship will hold in that society, and whether or not he will still say ‘I love living here’ in 20 years’ time. For me, the answer to this lies in how we, as parents and educators, are working with young people to navigate the process. How can we help young people deal with the difficult questions that Brexit raises? What are we teaching young people about democracy – in our classrooms, through the press, in how the House of Commons is operating, and in our day-to-day relationships? 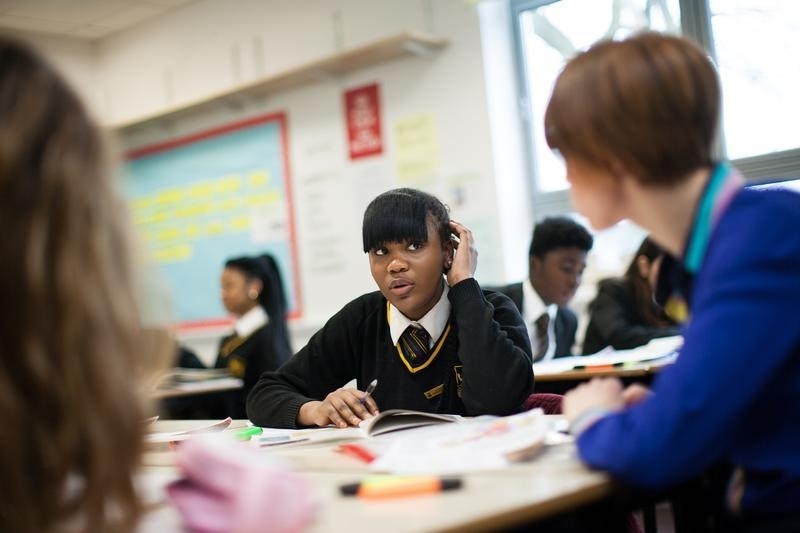 How are our teachers approaching the task of helping young people process these events, think critically about conflicting information, and reflect upon their roles in the process? These reports from teachers prompt us to ask what this means for citizenship education – a task complicated by the fact that teachers, like their students, are navigating uncertainty around these issues for themselves. This, combined with the complexity of Brexit, and increasingly ‘fixed’ opinions all make Brexit hard to discuss. As one teacher suggested, “I also think that there are far more teachers unwilling to have these conversations than there are who want to – or perhaps feel confident and able to.” Yet, many teachers are trying and that’s critical because democracy is ultimately about relationships; about trying to work through the difficult stuff together, even when we don’t have it all figured out. This is particularly important at a time when politics - and a shared ability to engage in civil dialogue - have deteriorated. If you are a teacher struggling with addressing these issues in your classroom, we invite you to access two Facing History and Ourselves resources: Standing Up for Democracy and Fostering Civil Discourse: A Guide for Classroom Conversations. Beki Martin, Executive Director of Facing History in the UK, is a passionate and committed leader, with over 18 years of experience managing education and youth-oriented charities. Prior to joining Facing History, Beki was the CEO of the Aldridge Foundation, an educational organisation which supports a network of 10 schools in underserved communities. She has also run her own management consultancy, and worked in business development and operations for two other youth-oriented charities, the Communication Trust and Youth At Risk. Beki holds a B.Ed Hons in Secondary Education.